Synopsis: Looking for clues to the mysterious disappearance of leading conspiracy theorist Melanie Ehler, Jack attends a convention of bizarre and avid conspiracy theorists. It’s a place where aliens are real, the government is out to get you, and the world is hurtling toward an inevitable war of good versus evil incarnate. Jack finds that nobody can be trusted - and that few people are what they seem. Worse yet, Jack’s been having vivid dreams that make him wonder whether he’s headed for a clash with his own past - maybe The Tomb’s evil rakoshi beasts aren’t through with him quite yet. (57) Review: Jack always finds himself entangled in mysteries that start out normal and quickly turn into something else. Because of this I find myself being reminded of John Connelly's Charlie Parker series particularly because of the good vs. evil aspect of these novels. Jack is starting to question his choice of business and if he wants to continue or if he should try to go straight and just spend time with his girlfriend Gia and her daughter Vicki. 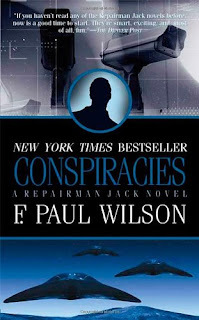 In this book Jack attends a convention on conspiracy theories in order to find a conspiracy theorist who disappeared and left a message for her husband that said to find Jack and that Jack is the only one who could help. The description of the convention and the people who attend it were spot on what you would expect at one of these convention and the stories are hilarious. Despite a brutal murder at the convention and a missing body the convention itself leads only to more questions and Jack's dry sense of humor keeps the book moving as the mystery gets weirder. While Jack is searching for Melanie he starts getting strange packages that show up in his hotel room without anyone having brought them. The scars he got in The Tomb (Adversary Cycle/Repairman Jack) book 1 also take center stage in this book. Do the Rakoshi have something to do with this womans disappearance? 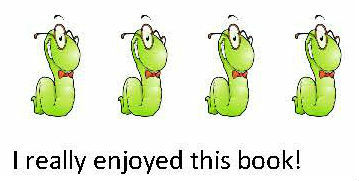 These books are constantly evolving and changing and keep getting better. Jack's rye and sarcastic sense of humor and comments just make me chuckle and keep the weird and brutal on a lighter level.